Horizon Motorhomes are an award-winning specialist manufacturer of built-in motorhomes and have been designing and building built-in motorhomes since 1995. Horizon Motorhomes, based in Ballina, northern NSW, with a customer base spreading to every corner of this magnificent country. For three consecutive years Horizon Motorhomes were recognized by the CCIA (Caravan Camping Industry Association) NSW as the Motorhome Manufacturer of the Year and as such have now entered the CCIA’s Hall of Fame. 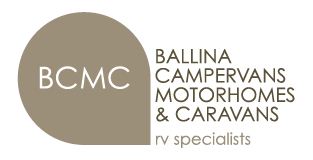 Our range of motorhomes are built into the Fiat Ducato and Mercedes Benz Sprinter (4-Wheel Drive) base vehicles and currently boasts a range of 9 layouts across the two van makes: Melaleuca Appeal, Melaleuca, Casuarina, Banksia, Banksia + 2, Wattle, Acacia, Waratah and Grevillea. The models are constantly being enhanced, developed and tested in line with customer expectations and demands. NOTE: All motorhome links will take you to our Horizon Motorhomes website and will open in a new window.